This is the lakefront property you've been waiting for! 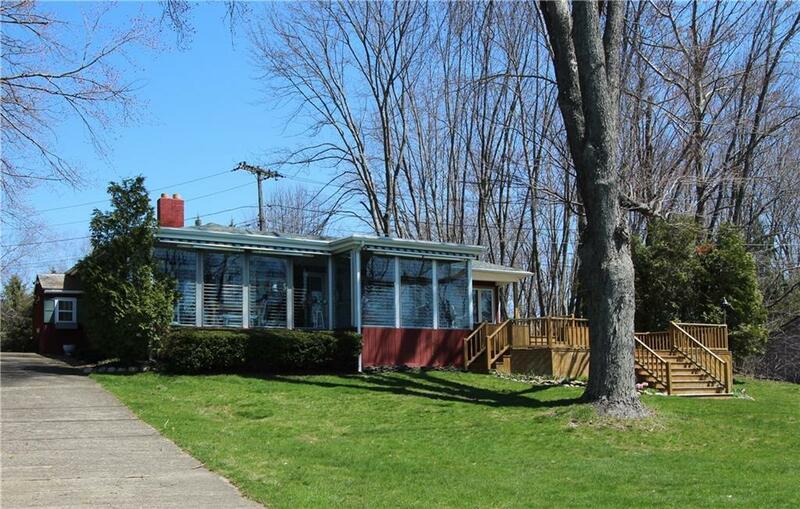 A charming year round 3 BR/2BA home with attached garage, large living area with fireplace, 3 season sunroom, large deck, awesome lake views, and 200 feet of lakefront with cement breakwall. But that's not all. Add to this two cottages - each with two bedrooms, bath, living, dining and kitchen - ideal for family and friends. This could be a perfect family compound for great getaways. Square footage does not include approximately 250 sq. ft. of the 3 season sunroom - so the living space is enhanced by this amount. This is a special property on a quiet street with exceptional lakefront. Come visit today. Seeing is believing! Cottages are furnished. Home is mostly furnished. Directions To Property: Rt 430 Turn Left Onto Cheney Drive Right On Lake View Drive. Look For Sign.